Moving is stressful. Although it appears to be a simple straightforward task it requires lots of time, effort and skill to pull out a successful move. Unfortunately, there really are so many things that can go haywire, mounting stress and anxiety levels. This is where removalists in Mernda come out handy. Professional house and furniture movers in Mernda have the experience and equipment to undertake removals with ease. 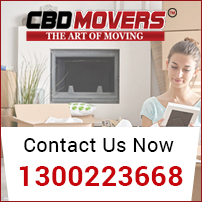 CBD Movers™ is amongst the best-renowned house and furniture removalists in Melbourne. Personalized solutions, comprehensive support, and affordable rates, we strive to provide moving services that best fit the needs and budget of every client. Staffed with the finest personnel we help pack and move belongings safely and effectively. With us in-charge you can be sure of a memorable move. 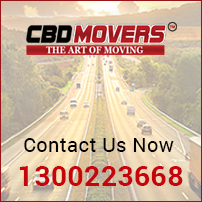 CBD Movers is the most trusted name in Melbourne. We undertake a wide variety of removal services. We understand the distinct requirements of every client and offer bespoke services for perfect removal. Our Movers & Packers facility is apt for moving household articles such as furniture and office equipment with ease. For shifting one-off pieces like pool tables, pianos and couches, we undertake ‘Two men &Truck’ deal. We excel in packing and use top quality packing material. We use the right tools and techniques and ensure proper safety and protection of goods during transit. We hold the mandatory licenses and have a well-established network to undertake local, interstate and international removal jobs without any legal hindrances. We, at CBD Movers, strive to build long-term associations. At CBD Movers, we are the cheapest movers in Mernda, Melbourne. Our outclass moving services are easy on the pocket. 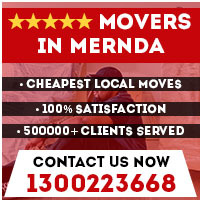 Our policy to slash every written quote by 10% makes us the most sought after removalists in Mernda, Melbourne. We also offer complete transit insurance for enhanced security and safety of goods during transit. We are transparent in our dealings and have no hidden extras. Mernda, a suburb of Melbourne, Victoria, Australia, is 27 kilometers north-east of Melbourne Central Business District. One of the fastest growing suburbs in Victoria, Mernda is witnessing rapid all-round development. Mernda offers comfortable living facilities to nearly 7,000 people. At CBD Movers, we extend our support and services to people moving in and out of this beautiful community. For a free quote or to inquire about our services, call us at 1300 223 668.